A Kathie Lee Gifford fave, the must-have Lisette L Flatterie Fit™ pants with tummy tamer panel really live up to their name! Slip-on, anti-roll waistband is a slimming 2 1/2" wide. Slimming dress pants are made from a stretch fabric that skims and flatters your curves, repels wrinkles and retains its shape. A pressed crease and ankle slits add tailored appeal. 31" inseam. Slim 13" leg opening. 76% rayon/21% nylon/3% spandex. Hand wash cold. Do not bleach. Hang to dry. Iron low if needed. Imported. 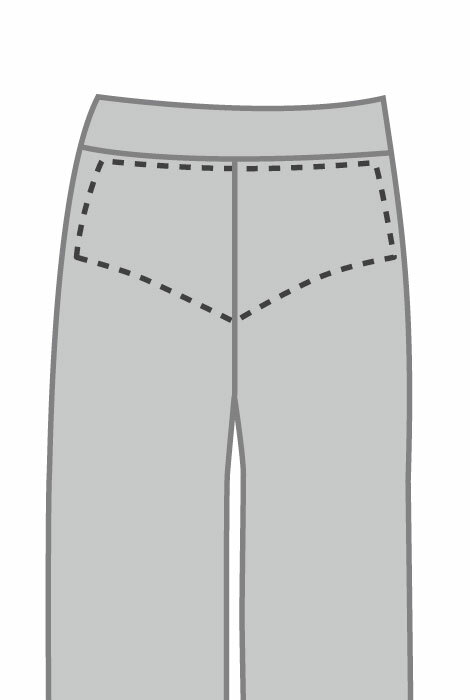 Sizes 6–16. 76% rayon/21% nylon/3% spandex. Hand wash cold. Do not bleach. Hang to dry. Iron low if needed. Love these pants. True to size and fit like a glove. I definitely need to get another pair!! 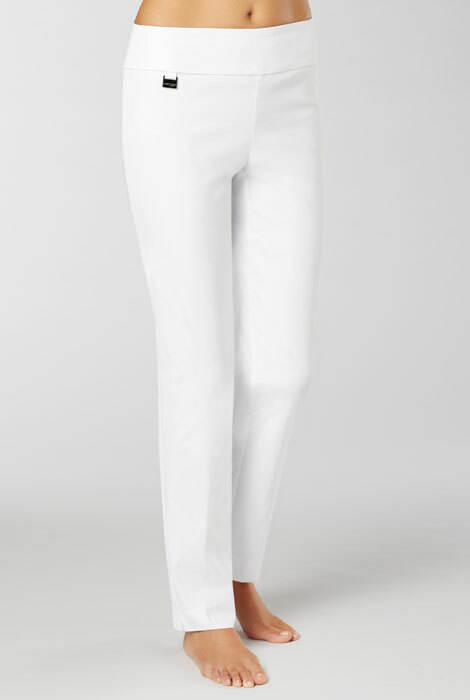 Great fitting pull-on pant,no buttons or zippers, has a built in panel that pulls tummy in and lifts the rear. I have other many brands in my closet, but this is the winner for the fitting. The product is what I expected! Keep this item in stock! These pants are the most comfortable pants I have ever purchased! I have several pairs of these pants, great fit and very comfortable. Love Lizette pants.Very good fit. Elegant. I am always looking for good form fitting pants that slim the tummy area. This is my first purchase of the Lisette Fit Pants so I hope they work well and look good. Best fitting pants ever and I had my first pair for four years and they still look good. Nice style. It will look good on me. I love the way these pants fit! Order one size down. Tummy control panel, a longer inseam of 31 inches, smaller 13 inch leg opening and Kathie Lee Gifford favors these. Hope they will fit me ok. Sound great. I love the Lizette fit. looks like a good fit. I hope it is! I have the in charcoal and think that they look and fit great! Because i have had a pair before and they are the most comfortable, trim looking and best fitting pant have ever bought!!! my sister has a pair of pants in this brand and she really likes them so I decided I'd like to try a pair. I have several pairs of these pants. This brand and Krazy Larry pants are best for keeping their shape throughout the day. The promised fit is a plus for traveling overseas. Tried it on in a store and really liked it but not the style I wanted so search online and found your store! Very happy to find the color and style and free shipping and a coupon. Thank you! Saw ad for Lisette L in Harper's Bazaar. Checked the web and saw the pants at As We Change at a good price. Reviews indicate great fit, material, etc. Can't wait to find out! I have 2 other pairs. Fit well and the fit does not change with washing. These are the best fitting and flattering pants I have ever found. As I have a "shapely" figure - small waist, wide hips - these fit perfectly at waist and hips and legs are flattering. I have them in four colors. have a pair and love them! bought them at a retail store. I have heard through friends Lisette pants are comfortable and stylish. I am giving them a try. Have one pair and love them! I was intrigued that Kathy Lee Gifford loved these, so I bought a pair and my husband and friends compliment me every time I wear them. They are so flattering! I wear a 6 Petite pant... Will any of your styles fit me? BEST ANSWER: Thank you for your question. Unfortunately, the Lisette L Flatterie Fit Pants only come in black at this time. We hope this information will be of help to you. What is the inseam length of these pants? Do you offer a "tall" size? BEST ANSWER: Thank you for your question. The inseam is 31". We hope this information will be of help to you. I have been losing weight and have a few more pounds to go. Right now I am between sizes 10 and 8 in NYDJ. What size should I order? BEST ANSWER: Thank you for your question. You may consult the size chart located right next to size choice drop down box to help determine which size would be best for you. We hope this information will be of help to you. Lisette F Flatterie Pants do they come in any shade of Grey ? BEST ANSWER: Thank you for your question. Unfortunately, no. They only come in black or white. We hope this information will be of help to you. If you're between sizes 10-12 which works best? BEST ANSWER: Thank you for your question. We suggest you order a size 12. We hope this information will be of help to you. In the Not your daughter jeans I wear a size 6. What size would you suggest I order? BEST ANSWER: Thank you for your question. These run true to size so we would recommend size 6. We hope this information will be of help to you. I wear a size 3 in your doc Capri. Active wear. What size would I buy in theses?